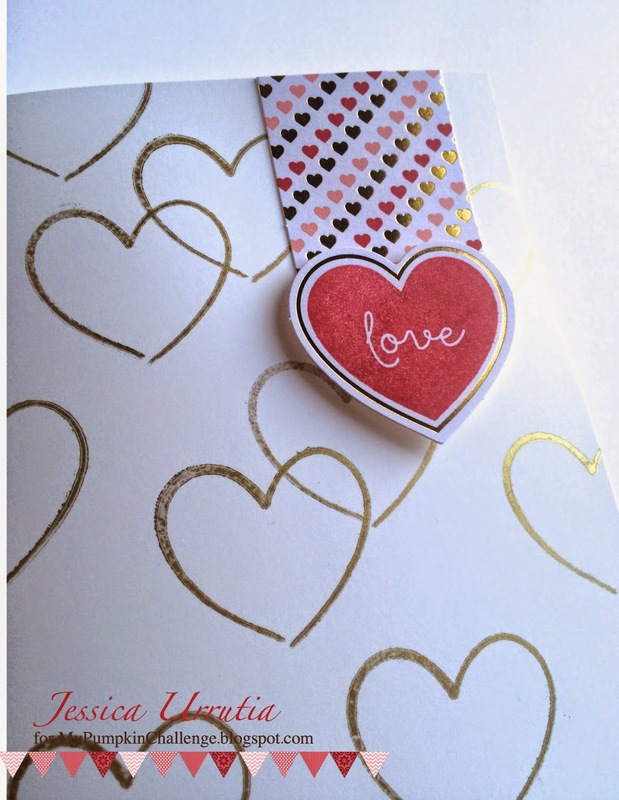 Here is a simple card I made this week with that cute stamp set we got in January. 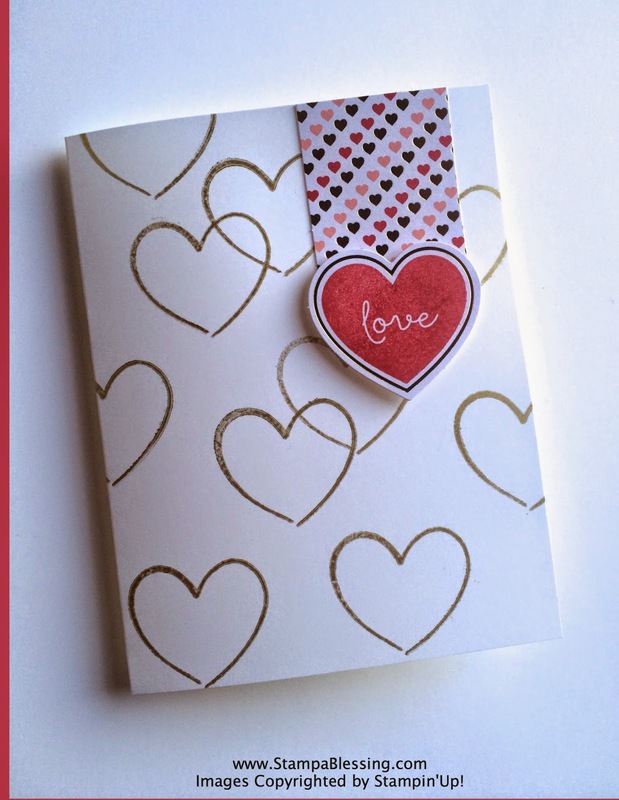 For this sample I used the Metallic Gold Encore Ink and Whisper White Cardstock in a regular size card of 4 1/4" x 5 1/2" Simple but still pretty. What have YOU been making with Paper Pumpkin? Share it here with us at My Pumpkin Challenge and take a peek into what my friends Boni, Cathy & Heather made this week. They're awesome! Psst… last week on Wednesday Paper Pumpkin post I posted a ton of beautiful inspiration Paper Pumpkin related from Leadership 2015. 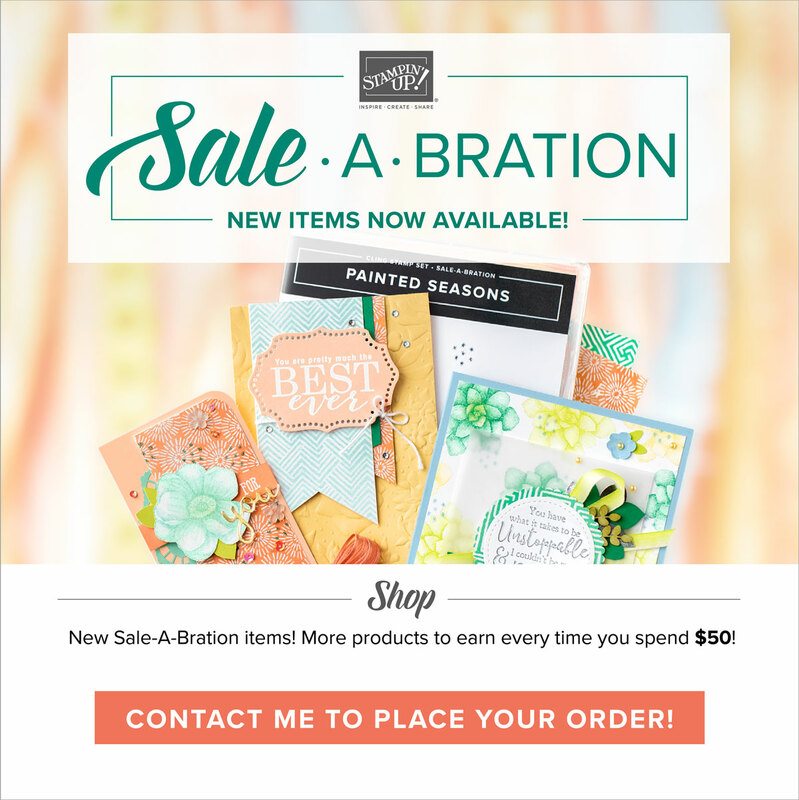 Take a peek here! 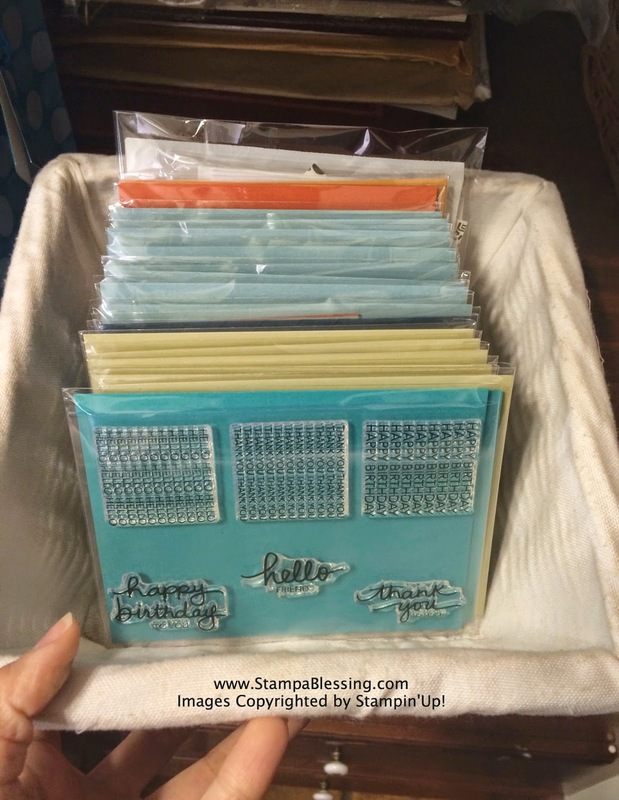 And this is how now I easily organize and can see my stamps, which are ready to be used. 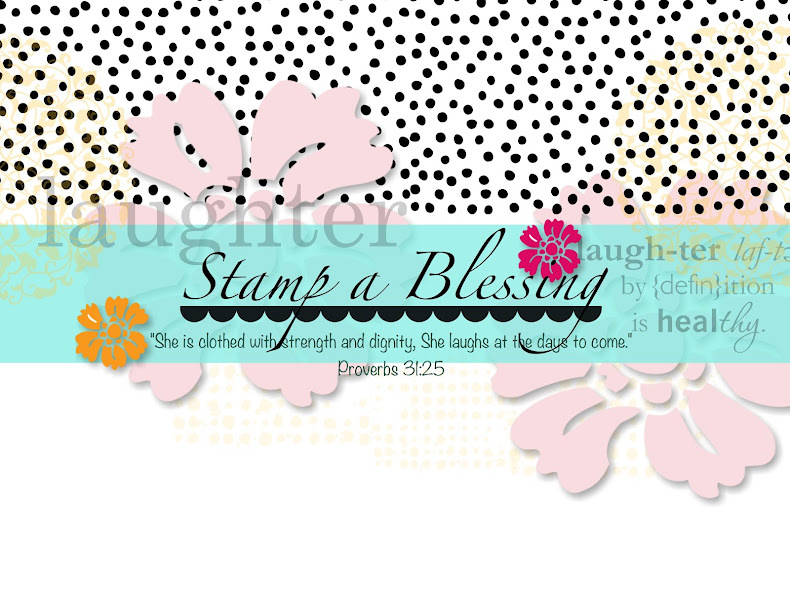 I cut some CS to 4 1/4" x 5 1/2" and placed inside Stampin'Up! clear envelopes. Then I slide our stamps from the first ones (on the back) to the newest (in the front). 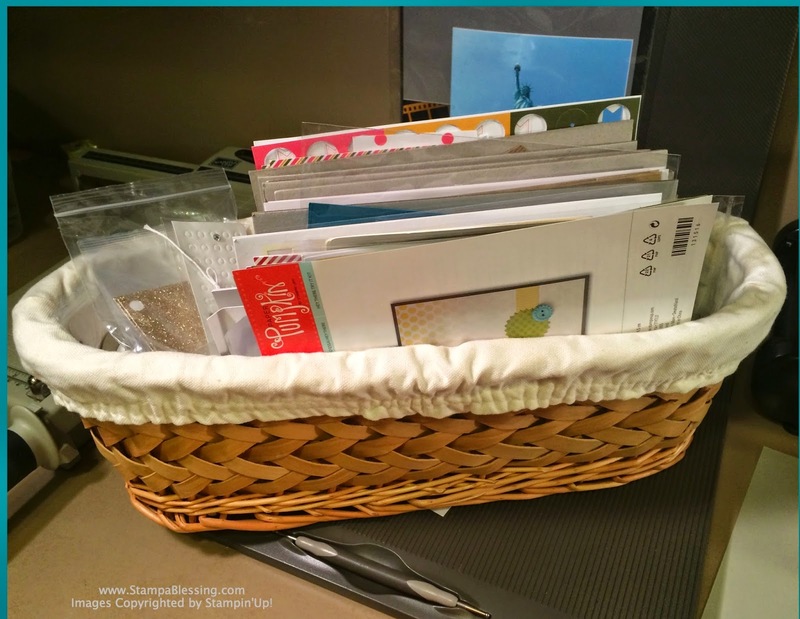 I keep this nice basket (I had it around) in a shelf in my craft area. 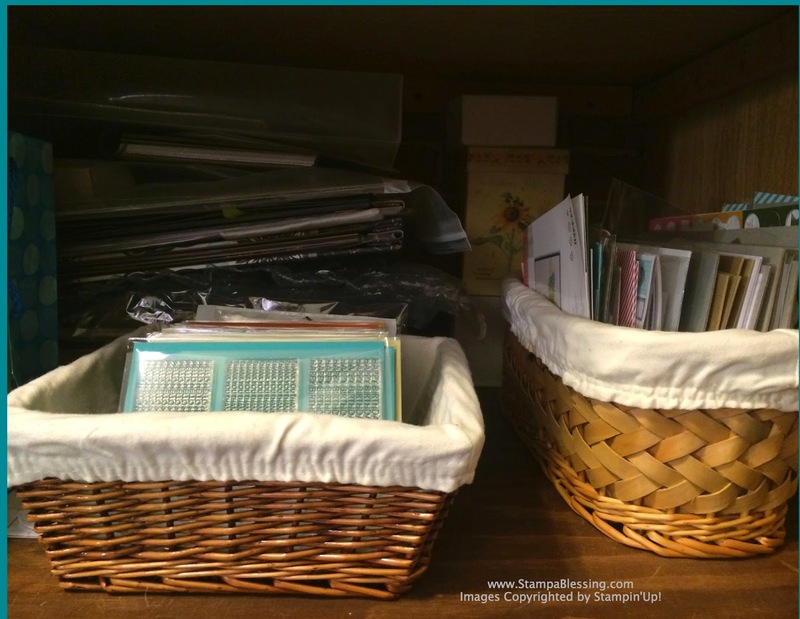 It is easy to see thru and find exactly what I need for my next project. To the left is all my Paper Pumpkin leftovers from 'x' or 'y' kits. a way that is easy for you? Comment below…yeah you! Love these ideas. I have been trying to figure out what to do with my stamps and leftovers! Thank you so much for being here! Hope these ideas help and the soon to come too! Working on it! Yay! Do the different card stock colors in the clear envelopes stand for different themes?? Great idea! Thanks for sharing, this should free up some space for me. Great idea! I just spent this weekend using my label maker to add labels with tge set name. Then it's easy for me to search Pinterest for ideas. I keep them in a Paper Pumpkin box that my son duct taped. I like your idea as it's easy to see all the stamps. Cool idea! Need go find my labeler! Thanks for sharing! I have mine sorted my Jan, Feb, Mar, etc. I placed the instruction sheet in the front of sleeves that I got at Wal-Mart. The stamps are behind the sheet, and have a tab for each month. This works really well for me. At the moment I have them in 6 binders that are about 6 in. wide by 8 in. length. Well, for some weirs reason I never got a notification of your message! 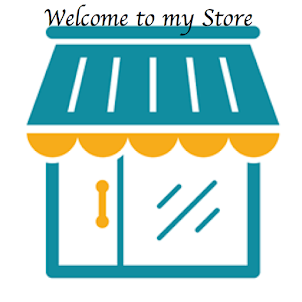 Hope this system is still working for you.Soon will be posting some new ideas to organize! Thanks for being here!